From raw material to a finished product, all under one roof. 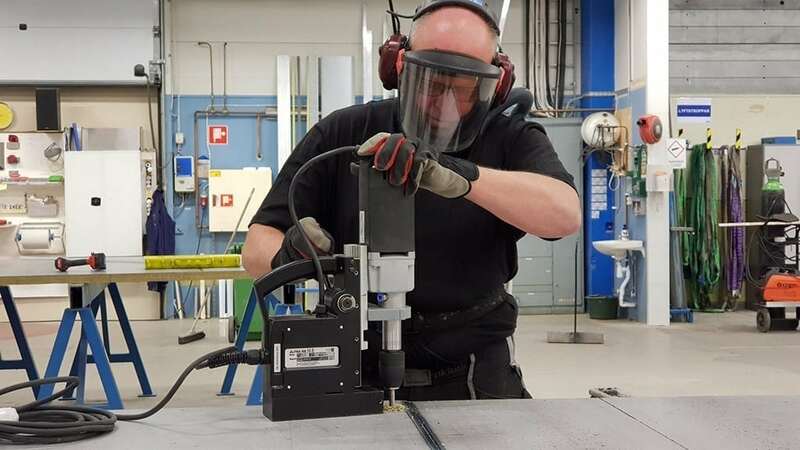 We start the manufacturing of our high-quality sandwich panels by cutting and joining plates with a flat weld that provides precise and finely welded joints. 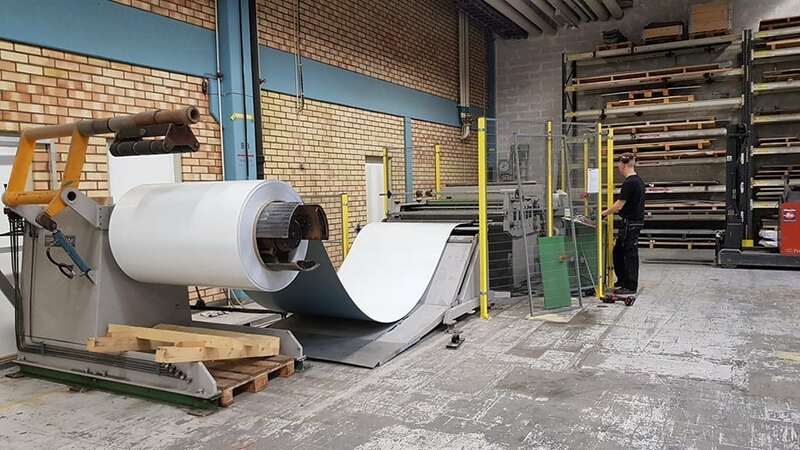 Using this method we ensure that the plates become even without the risk of bending or curving when they are applied to the core materials. For the sizing process we use our large glue table and our glue robot with a flow meter. The flow meter ensures that the adhesive mixture is evenly blended across the whole panel. 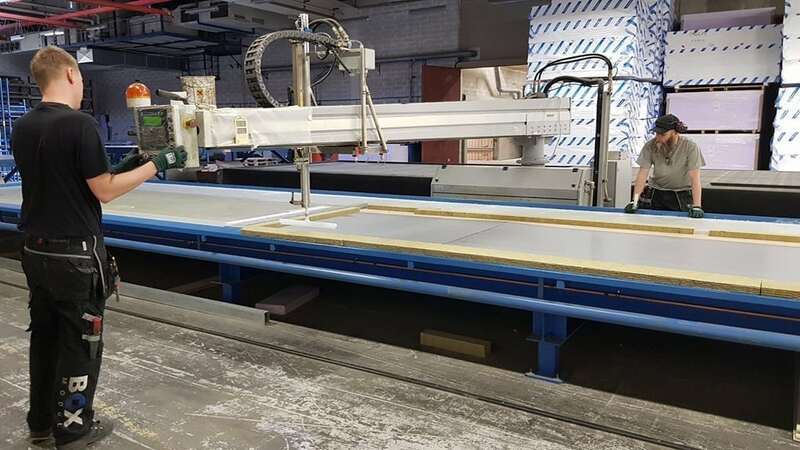 This means that we can manufacture all types of panels, large and small. Even highly complex panel sets can be produced. During this step we perforate the walls, cut the panels in sizes up to 250 x 4500 x 20 000 millimeters and weld the edges of each panel. 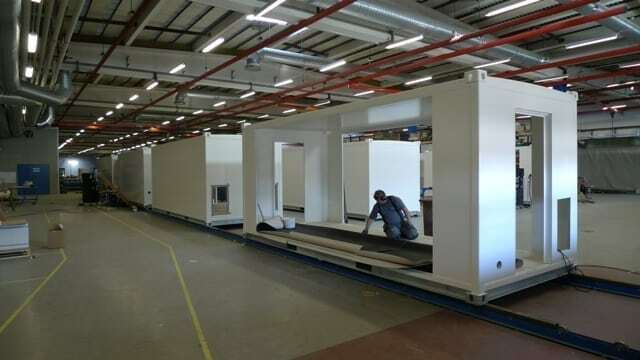 The finished parts are welded together on the underlying framework with extreme precision. We raise the walls, lay the floor mat and process the surface making it completely waterproof. Once this is done we mount the doors, windows and other loose parts. As the final step in the construction process we perform installations with help from our partners. 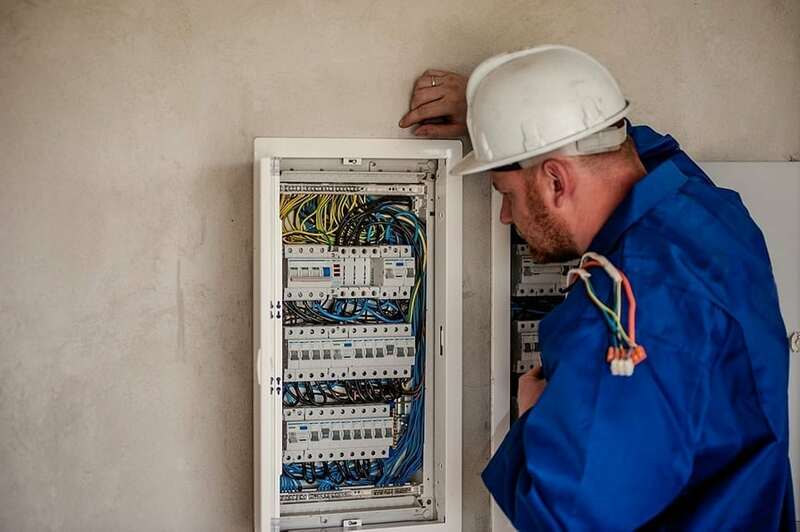 This could be installation of electricity, ventilation, alarms, fiber, racks, EMP-protection, RED solutions and much more. 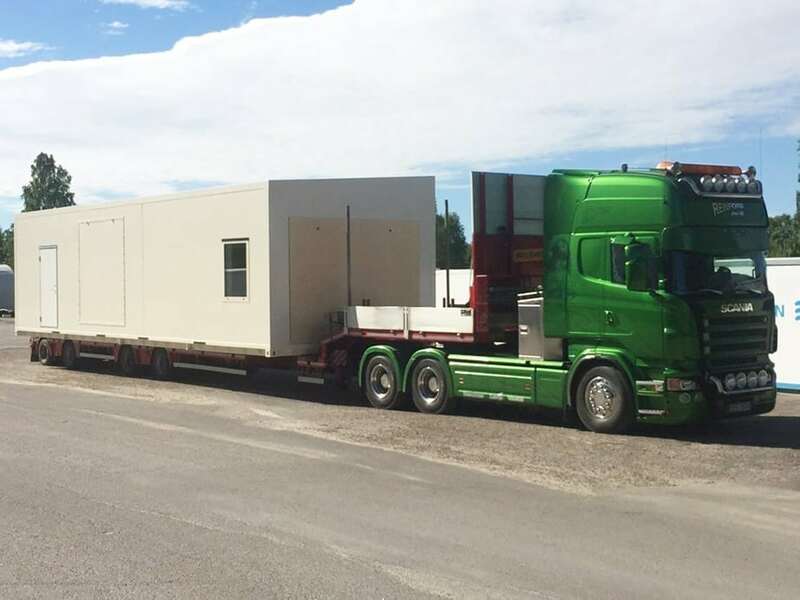 We carry out the delivery using trusted and experienced transportation partners with customized solutions for our products. Depending on the location we might deliver them on trucks or airlift them via helicopter.